We're a nation of dreamers, inventors, artists, builders and doers. We saved the world from tyranny three times (WWI, WWII and the Cold War). Baseball, Basketball and American Football were all invented in the USA. NYSE and NASDAQ are the world's two largest stock exchanges by market cap. We're the country with the most 2,653 medals won In 47 Olympics (40% Gold, 32% Silver, 28% Bronze). Slam Dunks / Superbowls -> ooo Yeah! the Simpsons - Entertaining the world since 1989. M&M's / Hershey's -> imitators don't stand a chance. Yellowstone National Park, a natural wonder of the world. Escalators: First used in Yonkers, NY in 1899! Buying goods manufactured in your city, region, or country is the best way to support the community you live in. You are helping the innovators, the workers, the office managers stay in business. They earn a living, and taxes are funneled back into local services. Buying locally helps your immediate neighborhood. Buying stuff that is made near you contributes greatly to lowering the carbon footprint of our purchases. The environmental impact of less transport speak for themselves. Most some local manufacturers try to also source their supplies and materials locally, creating an even lower footprint. Everyone wins. 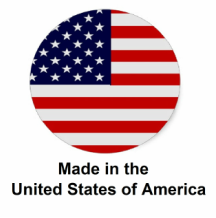 Buying from companies who build their products in the country keeps jobs here. Companies you buy from are able to keep and grow their workforce. Creating jobs starts with every one of us buying more goods created and produced here.